The host of "Guy's Big Bite" gets his yellow Lamborghini back. The stolen yellow Lamborghini owned by Bay Area chef Guy Fieri was found in a storage unit in Point Richmond belonging to a teenager wanted in connection with a drive-by shooting, according to the Marin County Sheriff's Office. Investigators on Saturday were at the storage unit about 7 p.m. because they had a search warrant related to a 17-year-old San Rafael boy, who witnesses said was linked to an April 13 shooting, where no one was seriously injured. Once inside CSI Storage at 855 Parr Boulevard, investigators said they found a motorcycle similar to one described in the drive-by and a 2008 Lamborghini Spyder Gallardo convertible. Sgt. Mark Hale confirmed the bright yellow car is Fieri's. Fieri's car, valued at $200,000, made headlines last March, when it was ripped off from the British Motor Car Distributors dealership on Van Ness Avenue in San Francisco. 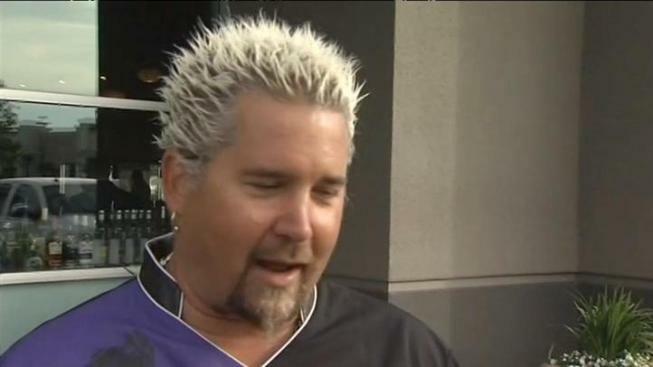 Fieri is best known for his popular Food Network shows and "Minute to Win It" on NBC. Through a spokeswoman, Fieri said he was quite thankful toward the sheriff and Mill Valley police for their "hard work and effort in the recovery of my car." The teen was arrested on charges of attempted murder, possession of a stolen vehicle, resisting arrest and having a loaded firearm, Hale said. He is in custody and was not given any bail due to the seriousness of the offenses for which he is charged.